In our feedback meetings after Keni's talk, the kids were able to restate his message about leadership, self-reliance, & the benefit of preparation. The kids really appreciated having a quality, sincere, & entertaining speaker. He stayed afterwards and met with every student who wanted to be with him. He really made a difference. Keni takes a monumental task in his life, and breaks it down to everyday terms. He is teaching ordinary folks to think and act extraordinary, one person at a time. This was one of the best speakers we have ever invested in for our school system. I cannot tell you how many of our faculty and staff members have told me that they loved his presentation and that it was right on target for what schools are facing today. I would gladly recommend Keni for any kind of presentation to faculty or students. In fact, we were so impressed with him that we have asked him to come back with his band when he is touring and to bring his message back to us again. One of the most riveting talks that I've had the honor of hearing in a long time. Throughout his speech I looked around the crowd and he had everyone eating out of his hand. What a fabulous story! His energy is so contagious! Your ability to wrap faith, patriotism and real life experiences with a message of inspiration and leadership is amazing. My prayers go out to you to keep the message going strong. Keni's appearance was unique and engaging. He did a superb job of storytelling while weaving a message of teamwork, duty and training. Your story about the importance of training, being prepared for the unexpected, and the fact that each of us can make a difference was inspirational and thought-provoking. I cannot tell you how lucky we were with Keni! Many of my attendees said he was the best speaker they've ever heard. Now I'm just afraid I'm not going to be able to top him next year! Keni Thomas was AWESOME! We are still getting rave reviews about him. He was perfect for the event. So easy to work with. He really cared. I would like to thank you and your staff at Premiere Speakers for all your help in making our Armed Services YMCA Fundraiser go so well. Keni was great; I would highly recommend him to anyone looking to make a direct impact on leadership, safety and accountability. Thanks again for making this happen for us, it's appreciated. Keep up the good work and "Get it On" everyday!! Keni has the ability to relate easily to individuals of any age. From the time he joined us at the Veterans reception to later after his presentation, he made everyone feel like his friend. We are still receiving favorable comments from the military veterans and students who appreciated his candor, knowledge and humility. There were a number of comments from the attendees on how inspired they were to do more in their communities and to make stronger efforts to support our military. In all sincerity, I heard comments about it all week and many said you were the best speaker they have heard at any of our meetings (and we do this every year!). We can't thank you enough for your willingness to stay longer at our conference to help us with our fundraising efforts . . . we raised over $10,000 last night for the SOWF! Keni exceeded my expectations.... I have never seen a keynote speaker have such a positive impact on our conference. Keni gave us much more than a keynote address. He and his message will have a lasting impact on our organization, and on me personally. I highly recommend Keni to any organization. You were truly one of the best presenters with the most inspirational message that we have EVER brought to Oklahoma! We have received SO many compliments about your message of teamwork and leadership! In a word, WOW. In my work, I have an opportunity to hear many speakers. This was without a doubt the best I have ever heard. Keni was awesome!! . . . He moved the staff, spent time with them, and struck a chord with so many people. He is by far the best speaker we have ever had. I was stopped 50 times today by people who said they loved it. Great event! Keni Thomas had a profound effect on us. Keni was the first and only standing ovation that ANY speaker has received from our group. That statement says it all. We highly recommend Keni. His message is effective, stimulating, and refreshing. Keni did an absolutely outstanding job as our keynote speaker. He really "touched" the hearts of our participants and left a lasting impression. In fact, several have asked me how to book Keni for their companies. It is important to get Keni's name and message out there; he has a lot to say and says it well. He evokes a very emotional response from people and he relates to everyone. I really liked Keni! Most honest person that I have heard speak in years. I highly recommend Keni to anyone who is looking for a speaker that is able to share a life-changing story and message in a way that all can understand. He has been blessed with an amazing gift of being able to tell the story for the ones who can't. The Summer Conference was a huge success! We received so much positive feedback from the teachers. Keni's ability to entertain and tell a story made for an awesome day. I was amazed at his insight and ability to connect what we do each day as instructional leaders to his experiences on the battlefield. This connection to real life is a model that we want our teachers to emulate in the classroom with our students. Keni did a tremendous job in motivating our teachers as we begin a new year. We will definitely have him back! I wanted someone with the message we were trying to portray, which is, 'We're all on the same team.' His message was perfect. Keni was great to work with and our audience absolutely raved about his presentation. He stayed afterwards and talked to everyone that wanted to speak with him. I would highly recommend Keni as an inspirational speaker with a great message about what it takes to be an effective leader in an organization. 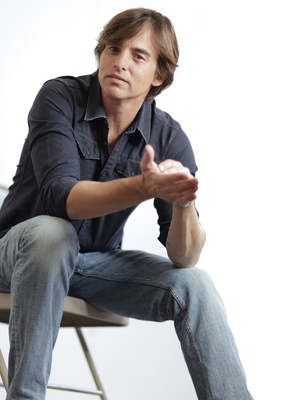 Keni Thomas is awesome!" 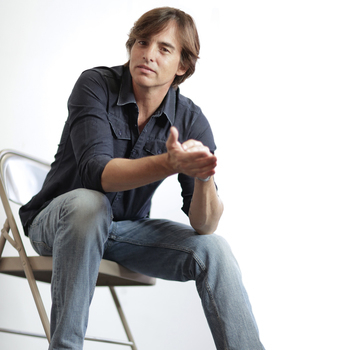 "Loved Keni's humor and message," "Keni Thomas - Amazing!" We couldn't agree more with the audience. You did an incredible job and we thank you for taking the time to not only present at our retirement seminar, but to come back with us and present at Rockwell, who also loved you. We were all incredibly impressed with how you autographed your books. You didn't just autograph the book, you had a one-on-one dialogue with each attendee. You set a great example of how to lead and your story is truly inspirational. The event was awesome. Keni delivered an amazing performance. He is truly an inspiration to people of all ages. The following morning as I arrived to transport Keni to the airport, my son and I had breakfast with Keni. Then we took him to the airport. Keni showed my son his plane and took the time to explain important components of his aircraft. I can't explain the impact Keni made on this 12 year old young man in just a short period of time. He spoke about it the rest of the day and will never forget. I just want to say thank you for communicating with me in making sure everything was in place. You are truly a professional. There is no doubt that we will be contacting you guys in the future to schedule our next event. Prior to our convention, people had asked me why I would invite Keni Thomas to present to bunch of auto parts people. I simply answered "wait and see". When it was over, the line stretched out the door of people that wanted to meet him and shake his hand. Leadership, communication and common goals are just a few of his messages that transcend any business or culture. Keni's presentation was on point, bringing the crowd to the edge of their seats from the moment he spoke until the final note played. Awesome job! We had an excellent experience with Premiere Speakers and with Keni from beginning to end. I can't think of anything we would change! I've been going to leadership conferences for 10 years now and never has a speaker grabbed me--from the very second they started to the very second they ended--like Keni Thomas did at this year's FCAM Professional Development Conference. His stories of valor mixed with leadership values, laced with sincerity and humor, and finished with music have forever changed me moving forward. We should be grateful people like Keni serve us and this great nation so selflessly, faithfully, heroically. I have seen many motivational speakers in my career. I have to say Keni's speech was one I will remember for a long time. Thank you very much for getting us Keni as a speaker. All logistics went well and he has 300 new fans, as all attendees were blown away. I feel sorry for whomever has to speak next year--Keni will be a difficult act to follow. Well done and thank you again for your work on this event for us. The audience loved your presentation and the feedback has been amazing. Everyone loved listening to you speak and for many, that alone was worth coming to Hawaii. I would be delighted to work with you again and hear you speak and sing once more. Keni Thomas did an excellent job for us as our commencement speaker. His non-traditional, informal style worked very well for our 1200 graduates and their families. People are still talking about the event and his powerful message. I recommend him highly. I just wanted to thank you for your words of inspiration and the time you spent with my team last Thursday. They are still talking about the impact of your message. The time spent with Keni renewed my spirit, faith, and most of all my Ranger creed. I literally hit the ground running this morning with eyes wide open feeling great and ready for battle. Thank you for your willingness to share such a personal (and painful) part of your life. You touched us all; we will never forget you and the time you shared with us! He was wonderful! We had people saying this was the best In-Service training they had ever attended. Keni was phenomenal! His message on Leadership, Training and Planning was perfect for our audience. It was amazing how he was able to tell such a personal story and spin it into inspiring life lessons. His keynote speech resonated on some level with all participants and the feedback we received was overwhelming positive. Keni went above and beyond during the meet-n-greet session to personally speak to all that waited in line for an autographed book (which we ran out of in 30 minutes). He was a pleasure to work with and I HIGHLY recommend Keni Thomas for future State Farm meetings! Keni was one of the most dynamic speakers we have seen. His story not only motivated our team but touched us all deeply. Several weeks out our team is still remarking on and trying to live his message--to lead and take care of those to your left and right! The feedback was overwhelmingly positive. I repeatedly heard that he was the best, most interesting & most inspiring speaker they had ever heard. I wholeheartedly agree. Thanks for your assistance and thanks to Keni for making it unforgettable. He connected with our teachers and everything he said resonated with them.They commented that they liked him because he was "REAL." Thanks for all you did in arranging for him to be with us.
. . . he molded the Ranger leadership tactics and strategies into approaches that all the healthcare leaders could take back and implement. Our attendees referred to Keni as a "home run"--everyone stayed after to have one-on-one time with him. Keni Thomas was AWESOME as our keynote speaker for our safety recognitions day. We have a number of military veterans in our organization and Keni had them engaged throughout his presentation. His was able to tie his personal experiences on the importance of safety, training and leadership to what our crews do to “keep the lights on”. I recommend him highly. Mac Felling,Transmission Maintenance Manager - Tri-State Generation and Transmission Association, Inc.
Keni Thomas shared his personal account of the battle of Mogadishu with our team of 700 at our yearly off-site safety conference. This conference is done over a four day period that gives all of our team a chance to attend. Keni shared his amazing story all four days keeping each audience mesmerized. His words along with his music gave a personal touch few other speakers can match. I would suggest having Keni speak to any group that is looking to develop leadership and team work. Everyone felt that he conveyed many good take a ways throughout his story and how he incorporated points about leadership roles that could be used in their daily business. I went back and looked at the pictures throughout our 2 day meeting and was amazed at how engaged everyone was during the Keni Thomas presentation, it really spoke volumes to how powerful a speaker he is. Kim Collins, Office Manager - NaturaLawn of America, Inc.
Keni did an excellent job. We sent our surveys after the conference and by far he was the highlight of the conference and rated 10 of 10. Great guy and story. Thanks for your service. Your team did a great job! I have heard amazing reviews about your presentation at our Heroes Breakfast. Many have said you were the best speaker ever! We received a $1,500 gift at the breakfast in your honor! I have heard from many how they appreciate the emails/notes you have sent them. You are a class act and I am so thankful for your generosity and support!